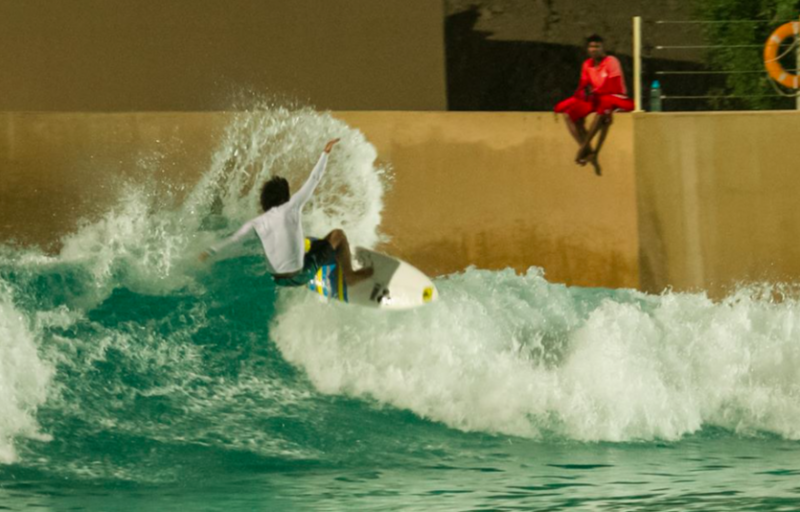 Mo Rahma – The UAE’s first competitive surfer pulling in to a clean one at Wadi Adventure Wave Pool in Al Ain, UAE. Originally published on StabMag.com on March 25, 2015 as Meet Surfing’s First Chlorine Creation! Mo Rahma pays $10 for every wave he surfs. Twice a month he drives an hour and a half from his home in Dubai to the Wadi Wavepool in Al-Ain. Although oil rich, gas is not free in this land and he’ll fill the tank of his Tundra pick-up truck for $30. He’ll pay another $30 to enter the facility, and $60 for an hour session in the pool. To make the trip worthwhile, he’ll surf for three hours. $180. There’s no more than six people, and the wave comes every two minutes. He can only catch six waves, and every time he falls, $10 is wasted. He will never paddle more than 20 metres, and he will never have to duck-dive. Mo is the first surfer of the wavepool generation and he’s hacked at the 100k salary he earns as a sales and development manager for Etihad Airways learning to surf. Like much of Dubai, if locals want something bad enough they’ll throw down the cash to make it happen. And Mo wants to be a professional surfer. “As soon as I hear the voice, I paddle.” The voice cues the wave. Mo takes two, sometimes three strokes, then gets to his feet. He stalls, cuts back until the wave stands, then fits two turns in before the wave’s over. The only variable is wind, strong enough in the desert to pick up a board and hurl it into the walls. Mo ruins six boards a year this way, or they’ll be damaged on the cement floor of the pool. Surfing, for Mo, looked like this for two years. He’d never understood an ocean, or been stung by lice, or felt a current pull him towards rocks or even had sand stuck in his wax. Up until that point, surfing in the wavepool was a sport not too dissimilar to football or rugby. He’s represented his country in both, but a knee injury ended it all and running in the ocean was rehab. 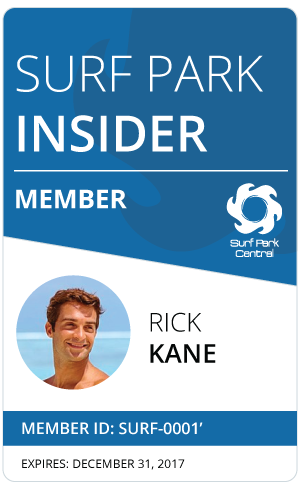 There he saw surfing for the first time and decided the pool was his gateway to competitive surfing. Since the 60’s we’ve been tormented by the promises of waves in a chlorinated wonderland. Millions of dollars have circled the drain to make the first fully functional, and impressive wavepool. So much of surfing looks backwards, but quality artificial waves have owned conversations about the future, more than board design and product technology, because we know exactly what we want, we’ve just never had it. The Wavegarden in Spain’s Basque Country and the Wadi Adventure Wavepool have come closest to Shangri-La but logistics and legalities have held back bigger projects. Purists still ask their question of, why? And every marketer’s response is: “We’re revolutionising surfing participation, bringing the coast to the metropolis… surfing is now for everyone.” And Mo, who pulled on a jersey for the first time in Peru, discovered surfing, artificially. And paid for it. 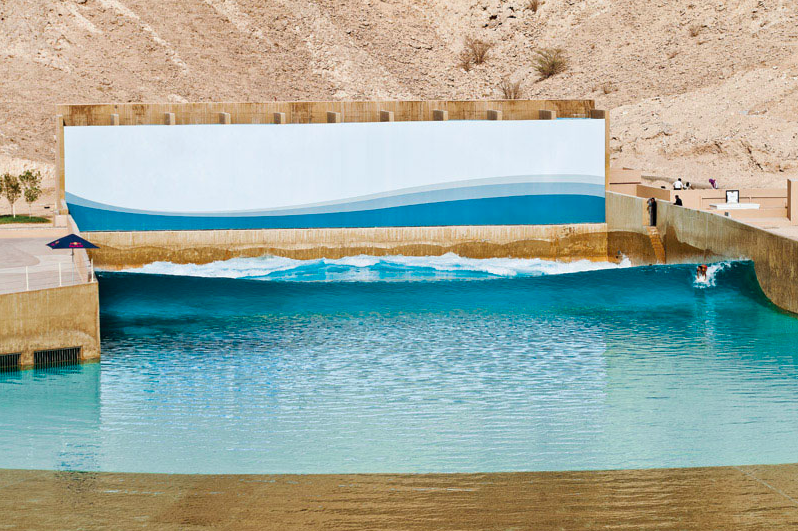 Two years after Dion Agius and Joe G took two Lamborghinis and 10 Russian models to the aqua blue for Stab, the Al-Ain desert city now offers a peculiar look to the future of what wavepools have really created, and what they’ll undoubtedly create more of: Pool-bred surfers. But what it did for Mo was invite the need to find real surfing in a real ocean, a different kind of Shangri-La, one that we’ve had the entire time. “I meet people around surfing and I wonder, why are you so grumpy? You’re a surfer, you should be stoked all the time. When I got pushed on my first wave, I realised I’d wasted my whole childhood not surfing. That was the best moment of my life. 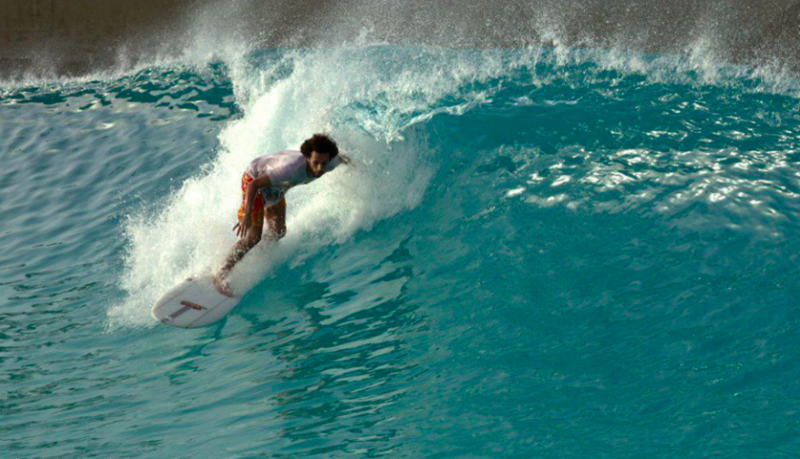 Then, dropping into an eight-foot wave in Peru, that replaced it. The smile on my face, it was like I was doing a commercial for toothpaste.” We’re transfixed on the pathway to riding artificial waves. But when a product of that very place walks towards us, desperate to know where we’ve come from, perhaps it’s time to stop, turn around and show him it isn’t all that bad.